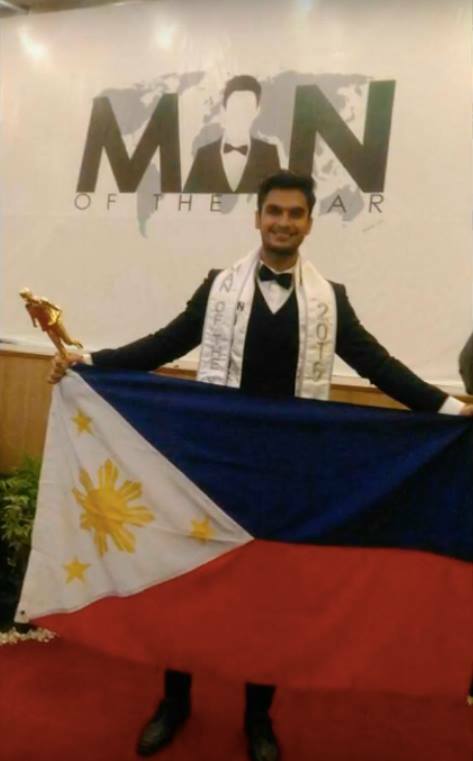 Karan Singhdole, 23, representing the Philippines, won the first edition of Man Of The Year contest on August 20th Grand Central Hotel Pekanbaru, Indonesia. Singhdole, a full-blooded Indian who was born and raised in the Philippines, beat over a dozen other young men for the title. His court includes 1st runner-up Tarek Moaykel of Lebanon, 2nd runner-up Tim Bertrams of the Netherlands, 3rd runner-up Trịnh Xuân Nhản of Vietnam and 4th runner-up Meirizal Rifa’i of Indonesia.